Stitched two-pocket shop ticket holders with hanging strap. Hi, I'm Griffin at C-Line and today we're going to talk about our two-pocket shop ticket holders with hanging strap. The two pocket shop ticket holders keep important projects and job information together in one convenient place. The large 9" x 12" pocket holds orders, papers, manuals, and more. The smaller 9" x 6" pocket holds keys, notes, CDs, and other corresponding information. The holders are manufactured from heavyweight rigid plastic with tape and stitched edges to provide maximum durability to your documents. Clear on both sides, these holders have a hanging strap and over-sized metal eyelet, making it easy to hang your job ticket with your job, whether it be on a car, piece of machinery, in the office, or wherever you need it. Two pocket hanging shop ticket holders are perfect for auto repair shops where the work order and keys can be hung right on the vehicle. 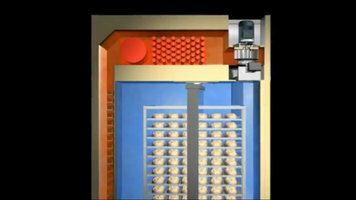 They also work in manufacturing, office, retail, and shop environments. Really anywhere information needs to be posted and easily accessible! Order yours now. C-Line's two pocket shop ticket holders are great for use in retail, manufacturing, office, or shop environments! 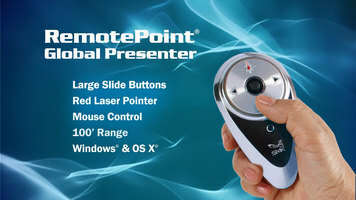 Deliver a seamless presentation to your audience every time with the RemotePoint Global Presenter, a proven industry-leading remote presenter featuring a user-friendly design, mouse control, and unwavering reliability! 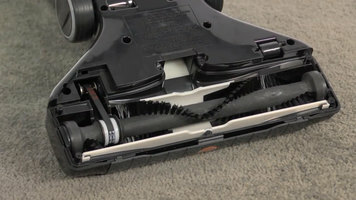 Learn how to remove the bottom plate and service the belt and brush roll in your Hoover Task Vac Cordless Upright vacuum cleaner by following the step-by-step instructions in this video. With Temperature, Moisture, and Circulated Air Control being the three elements that define the ideal cooking environment, you will find that the MIWE ovens will cook all your food to perfection.